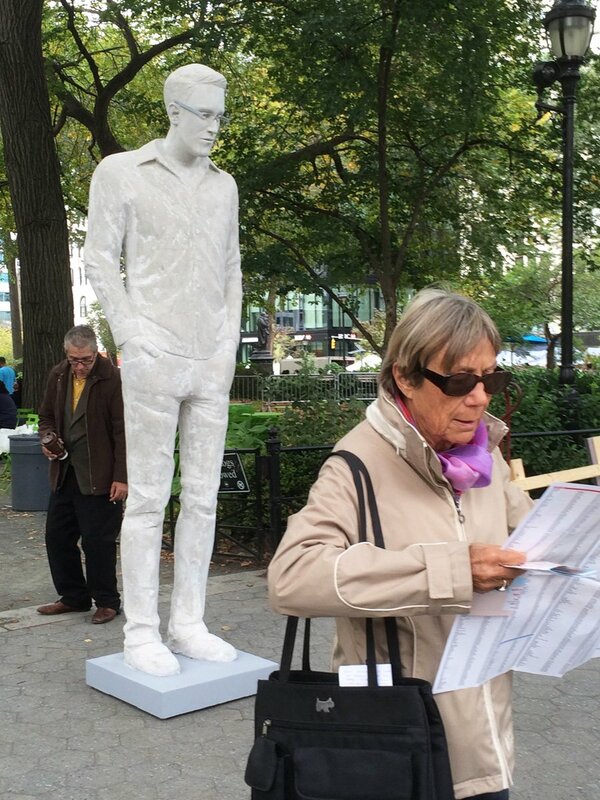 Early Friday morning, a mysterious statue of Edward Snowden appeared in Union Square Park in New York City, opposite the Abraham Lincoln statue. 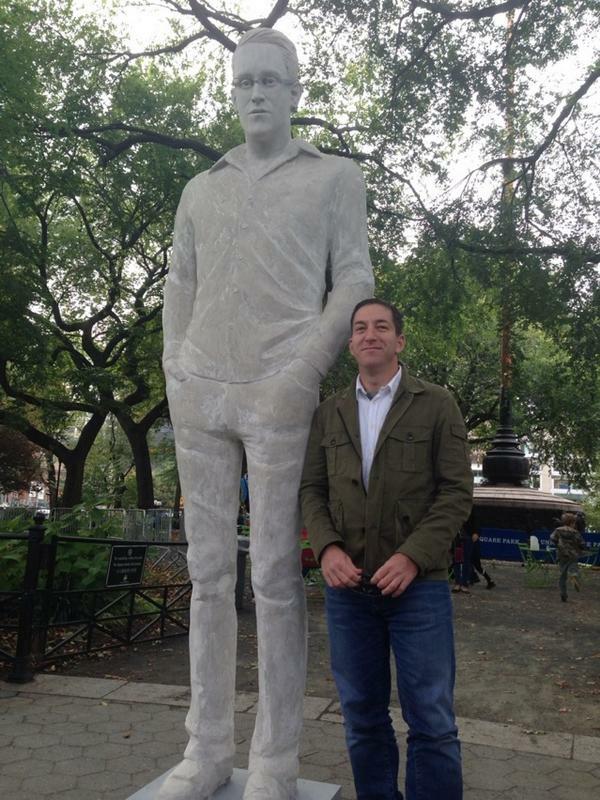 Glenn Greenwald and Jeremy Scahill were on hand when the statue was unloaded, although they apparently had no connection with the statue’s appearance. The mystery of the statue has been solved. It is an art piece by Delaware-based artist Jim Dessicino. 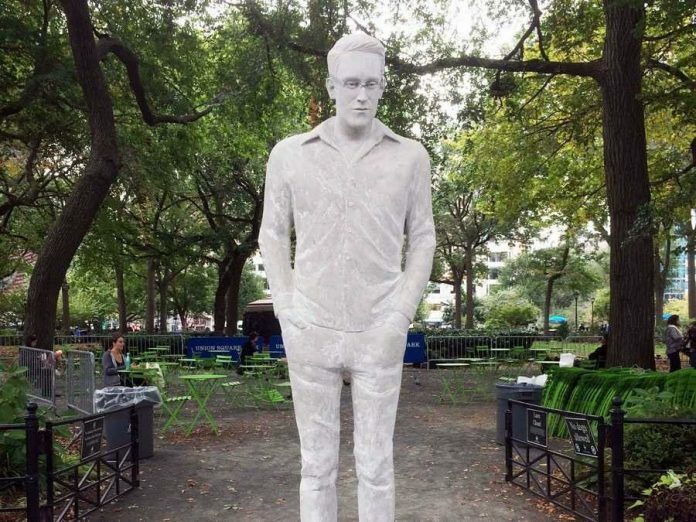 Dessicino made the Snowden sculpture last year while studying at the University of Delaware as a graduate student. 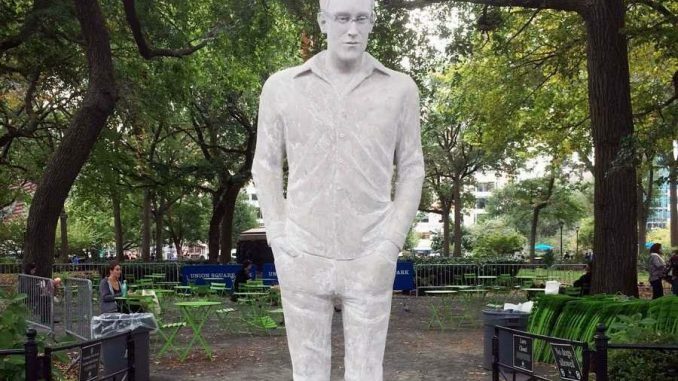 Dessicino started constructing the sculpture in September 2013, just months after Snowden famously leaked secrets from the NSA to journalist Glenn Greenwald. Dessicino says as soon as the Snowden leaks came out, he knew he wanted to make an art piece about it. Unfortunately for Dessicino, despite the prominent location of the statue, no one seemed to know who he was. 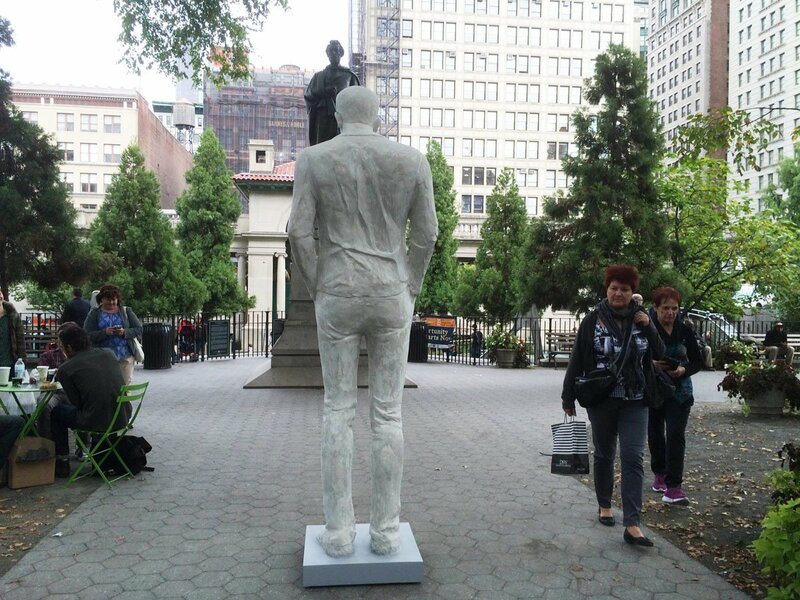 Of the 12 passersby we asked — many of whom stopped to look at the sculpture — not one could identify him. When told who it was and asked their opinion of him, the responses ranged from indifference to resolutely positive. 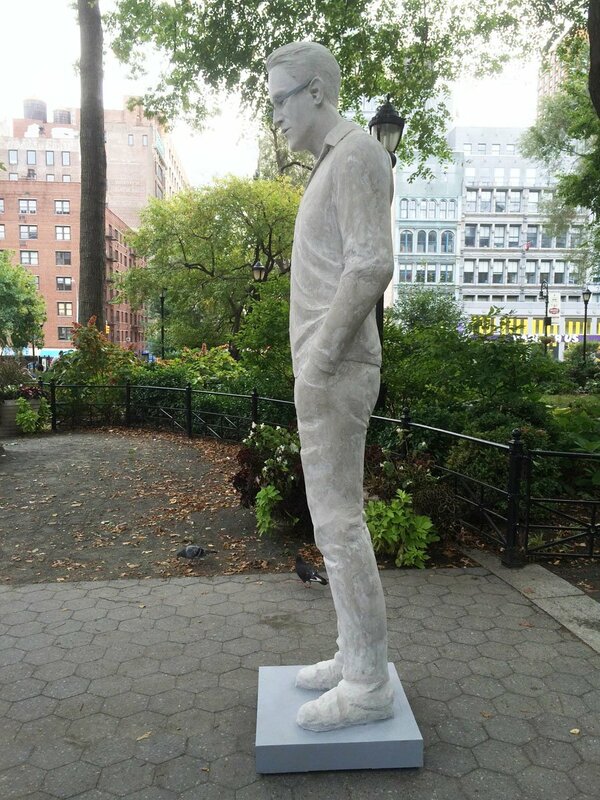 The statue is made primarily out of gypsum cement. The head was made out of clay and then cast in a mold, while the body is made out of steel piping and insulation foam. “It’s pretty sturdy,” Dessicino said. 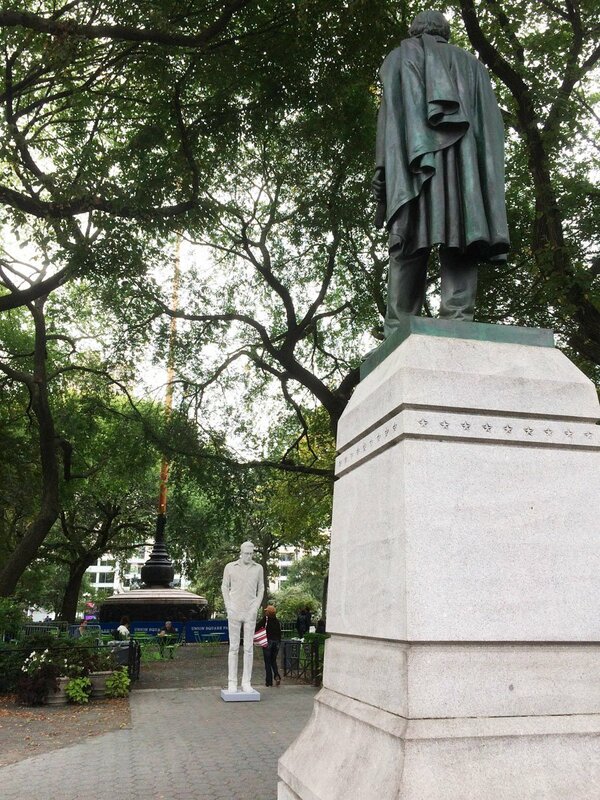 The statue will be in Union Square all weekend, from 10 a.m. to 5 p.m. Dessicino will sit next to the statue during that time, making sure it doesn’t fall over or get defaced. Breaking: US Performs Second Round of Airstrikes in Iraq – US Moving Troops Back?